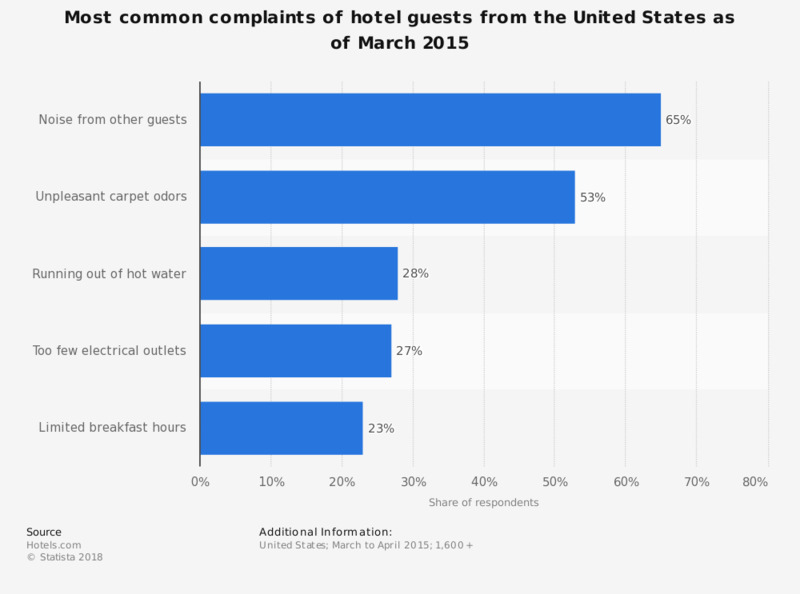 This statistic shows the most common complaints of hotel guests from the United States as of March 2015. During the survey, 65 percent of the respondents were most aggravated by the noise from other hotel guests. The average daily rate of hotels in the United States was 123.97 U.S. dollars in 2016, a figure which has grown annually since 2009. The hotel occupancy rate in the U.S. is highest in the month of July, and lowest in the winter months of December and January.